The Plex app is now available for the new Apple TV 4K, in addition, it also makes two grade updates, one is the support for 4K video playback on Apple TV 4K and direct playback of FLAC music on tvOS 11, another is the direct support for HEVC video codec on tvOS 11 (both Apple TVs). For Blu-ray disc collectors who have just bought a new Apple TV 4K, you may come the idea to stream Blu-ray movies to Apple TV 4K via Plex Media Server. The following article will show you how to make that achieved. Although Plex can transcode any digital file formats you throw to it, however, it can do nothing with disc media format especially for those commercial Blu-ray movies with complicated protection. 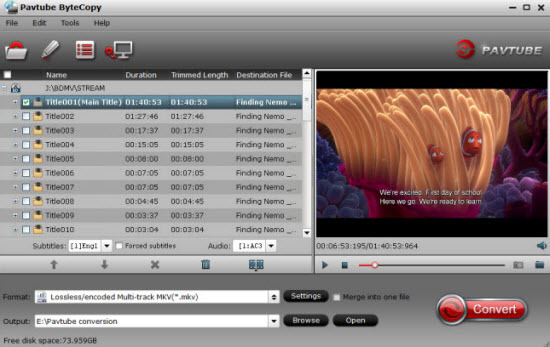 Here, you will need a powerful Blu-ray Ripper software to perform the Blu-ray to digital format ripping process. Although there are many Blu-ray Ripper software on the market, however, after a lot of testing and site comparison, we finally settle on Pavtube ByteCopy. The program can powerfully bypass all Blu-ray copy protection and region code in the background automatically with the built-in disc decrypter, in addition, it also keeps constant update with perfect support for the new encryption used on many recently released Blu-ray movies. After the protection is removed, you can then freely rip the content on Blu-ray disc to Apple TV 4K playable digital file formats listed above. If you own a 4K TV, it would be much ideal to convert Blu-ray to Apple TV 4K playable 4K H.265 or 4K H.265 formats. If you own a HD TV, then just rip Blu-ray to Apple TV 4K playable HD H.265 or HD H.264 file formats. 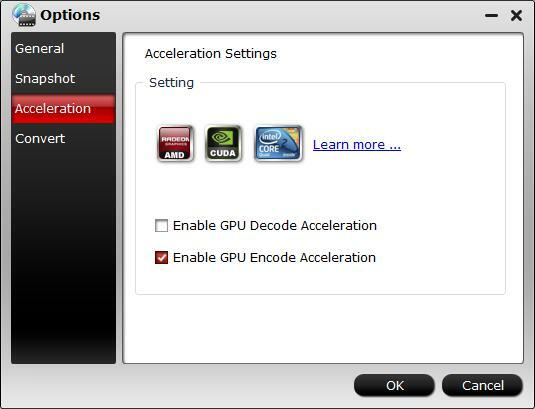 Tips: The program supports hard-ware encoding acceleration, you can get up to 30x faster H.265 codec encoding as long as you run your computer on Maxwell (GM206) or Pascal based Graphic cards that supports Nvidia NVECN technology or up to 6x H.264 codec encoding speed as long as you run your computer on Graphic cards that supports Nvidia CUDA or AMD App technology. For Mac users, you can go to download Pavtube ByteCopy for Mac to perform the conversion on on macOS High Sierra, macOS Sierra, Mac OS X El Capitan, Mac OS X Yosemite and Mac OS X Mavericks, etc. Insert the Blu-ray disc into your computer’s Blu-ray drive. If your computer doesn’t ship with a drive, you will need to purchase an external USB Blu-ray drive to read the data on Blu-ray disc. 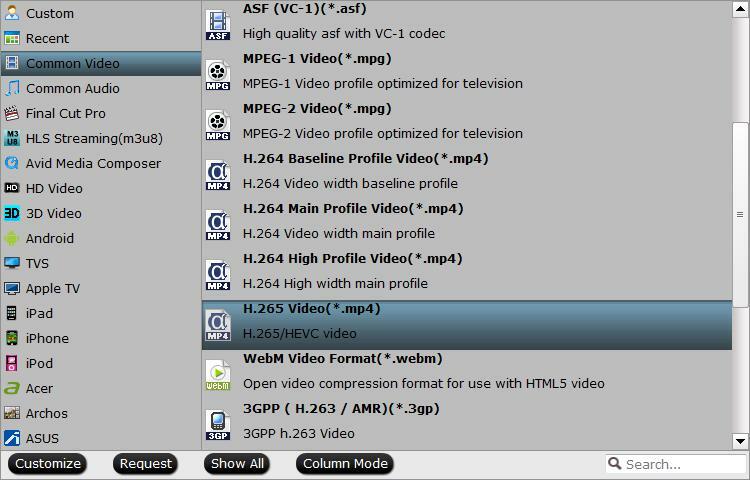 Then press “File” > “Load from disc” option on the main interface, alternatively, you can also import Blu-ray folder or Blu-ray ISO files with the program. Step 2: Output Apple TV 4K supported file formats. 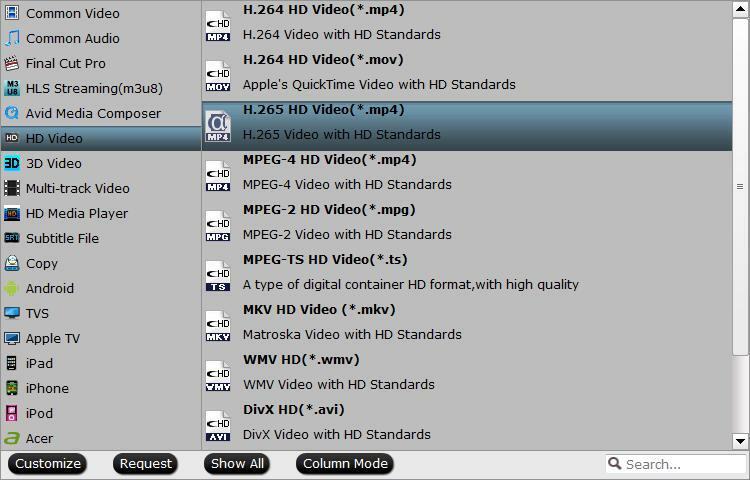 Clicking the Format bar, from its drop-down list, if you own a 4K TV, just choose to output Apple TV 4K supported 4K file formats such as 4K H.264 or H.265 formats. If you own an HD TV, just choose to output Apple TV 4K supported HD file formats such as HD H.264 or HD H.265. 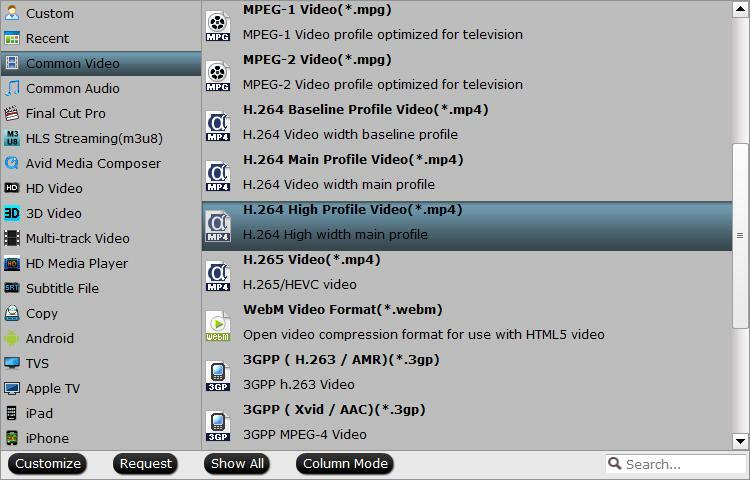 Click “Tools” > “Options”, in the opened “Options” window, click “Acceleration” menu, then check “Enable GPU Encode Acceleration” otpion so that the program will accelerate conversion speed when encoding Blu-ray movies to H.264/H.265 codec. 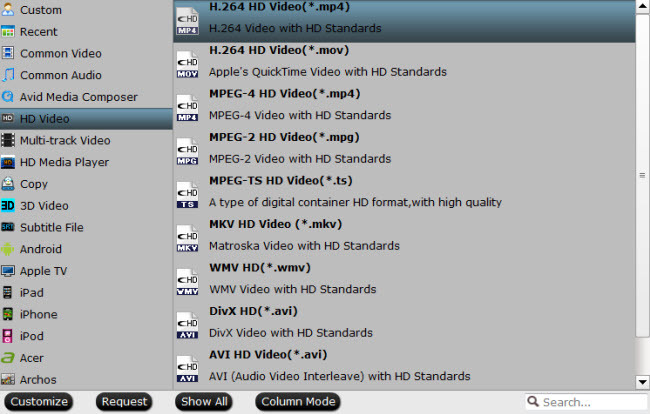 After all setting is completed, hit the “Convert” button at the right bottom of the main interface to begin the ripping process from Blu-ray to Apple TV 4K direct playback 4K or HD file formats. When the conversion is finished, click “Open Output Folder” icon on the main interface to open the folder with generated files. Then feel free to Add converted files to Plex for directly view on Apple TV 4K with Plex app with no buffering issue.